Welcome to the first issue of Eclectica's fourteenth year online. I'm especially proud to see this issue hit the web, as it has come to fruition during a simultaneously joyous and trying time. 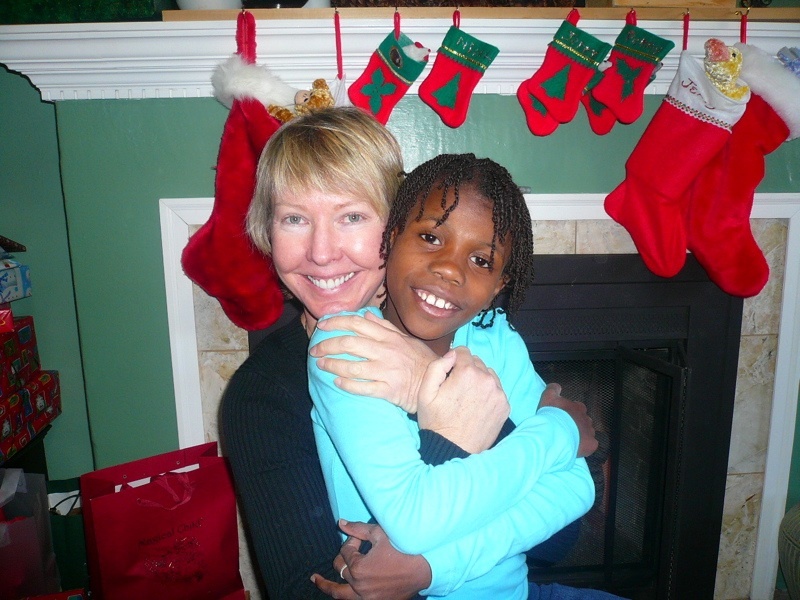 As many readers know, my wife and I have been in the process of adopting two children from Haiti since October of 2007. On Christmas Day, our daughter finally came home. Unfortunately, the paperwork for our son was not complete, and he was still in Haiti when the earthquake hit. 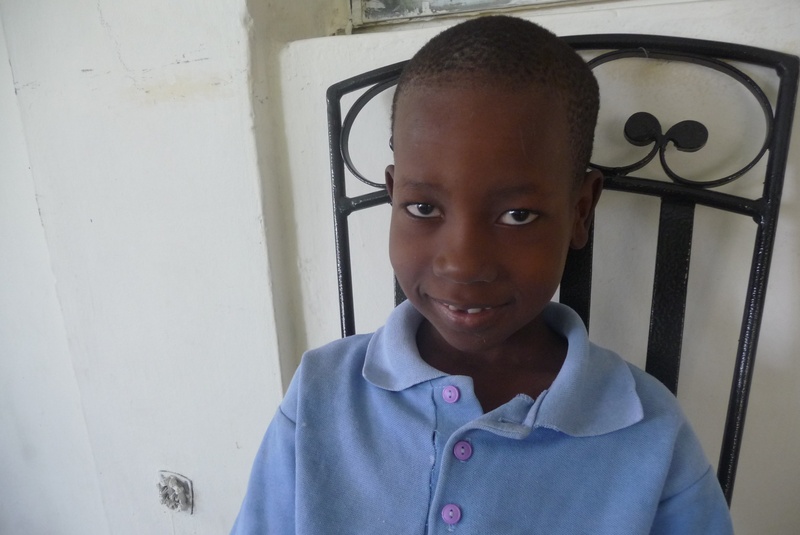 As I'm writing this, we've heard that he's okay, but we don't know exactly what conditions he's enduring, nor do we know if he and the rest of the children he's with in Port-au-Prince are getting enough food or water. Needless to say, I haven't had as much of the already limited time for magazine editing at my disposal these past few weeks. Hence the delay in posting this issue. That said, as always, I'm proud of the results, and we wouldn't have any issue at all without the hard work of the rest of the staff—all of whom have their own life dramas playing out as well. When I first read Lauren's work, I was engaged by the homely minutiae of everyday life: the "two fat eggplants" and the landlady's "dog, Goose, who gets nervous and pukes." But the more I carry her poems with me, the more I am taken beyond these small details to something greater and more otherworldly. Her poem "Cancer," opens with a tap on the door, and it is not just the landlady outside, but "the dark behind the darkness." However, it is in "Girls Not Wanted" that I find the image that I return to more than any other. Henley imagines our shock "if we found a dying star on the sidewalk, smoldering, turning to ash." This strange confluence leads the reader to find the unexpected among their own small possessions and familiar streets. On the fiction front, we've got a truly balanced and varied mix of stories. Saudha Kasim takes us on a 280-mile road trip through Southeastern India, John Givens has us walk a few miles in the leggings of a 17th Century Samurai, and D. E. Fredd lets us tag along with a retired Navy veteran trying to reconnect with the troubled son his absences have helped to form—to mention just three of the pieces in this issue. Tamara M. Brenno-Uribarri helped select these stories—making this the sixth issue in a row she has guest edited. While we don't have a lot of nonfiction, we do have a pair of travel pieces from South America, including another visit to coastal Venezuela by William Reese Hamilton. And in the nonfiction section, Stanley Jenkins lets loose with not one, not two, but three extended dream pieces that continue to capture the confused cultural landscape of America. In the reviews and interviews section, Pascal-Denis Lussier talks to former contributor Paul A. Toth, whose novels have made him one of our more celebrated alums. Review editor Colleen Mondor and interview editor Elizabeth P. Glixman have ensured this section continues to be a vibrant and meaty part of the magazine. In the news department, David A. Taylor's Soul of A People: The WPA Writers' Project Uncovers Depression America has received high critical acclaim, including being named to the Pittsburg Post Gazette's Best of 2009 list. In addition, this fall the documentary film version, Soul of a People: Writing America's Story, premiered on the Smithsonian Channel. Terence Hawkins celebrated the release of his first novel, The Rage of Achilles from Casperian this past November. Allan Shapiro let us know that his Food for All series will be published by Grace Notes Books, and the ever prolific D. Harlan Wilson is promoting two new books, Peckinpah: An Ultraviolent Romance (Novel) and Technologized Desire: Selfhood & the Body in Postcapitalist Science Fiction (Cultural Theory/Literary Criticism). Finally, Alex Keegan has re-launched Boot Camp, a writing workshop whose members have published three dozen books over the years. Writers looking for a real kick in the writing pants should give it a Google. So, for quite some time now, I've been signing off these editor notes with an adoption update. I've already mentioned that we have one child home and one, we hope, on the way. I'll include two pictures—one of Lise the day she came home, and one of Evans, taken the day of the earthquake by another adopting family that was there to pick up their children. By the way, if anyone is interested in contributing money to help the people of Haiti, besides the obvious choices (Red Cross, Doctors without Borders, Partners in Health, Yele Haiti, the Bill Clinton Foundation), you can also contribute directly to Lise and Evans' orphanage, Petits Anges de Chantal, by sending your donation to A Love Beyond Borders. If you wish your donation to go specifically to the orphanage, just indicate "PAC" when you make it.